Okay so today I’m going to be writing a post about the potential for tourists to tour the royal opera house in covent garden, London. Discover something extra special today if you come down to covent garden with a bit of cash then you can get your own private tour of the opera house and explore the heritage of covent garden like never before. This exclusive back stage tour is something that everybody in the world should try to experience once, it is an extraordinary building that has ample amounts of history and has a huge auditorium within it. Sometimes if you pick your visit date carefully you can actually see the Royal Ballet during class times and see them practicing, this is quite an amazing experience as I can attest, I would highly recommend it to anybody who is into this sort of thing. 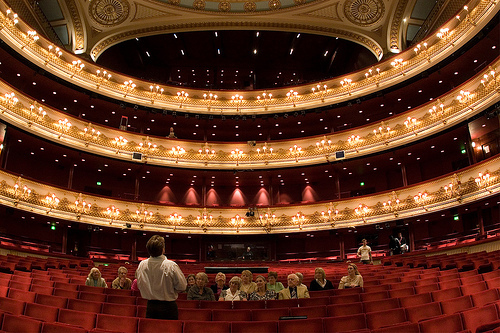 Your tour guide is usually very insightful into all of the different opera greats that have performed there in the past and who knows, you might even meet a famous person or two if you are lucky enough on the day. The second thing that I would highly recommend to people who haven’t been to London before is also in Covent garden too, you should go down to the Hawksmoor restaurant and go there for a lovely Sunday roast dinner, this is one of the most famous restaurants in the world so do expect to pay a fair amount of money for a dinner, however this really is an extravagant option that will certainly leave your taste buds in a very happy place. There are a number of extremely famous chef’s who work in the restaurant and so again there are many famous dishes on offer if a roast doesn’t tickle your personal fancy, definitely check it out either way, or just go for a coffee if you can’t quite afford a full meal at this fancy restaurant. Aside from this there are a large number of cool night clubs for people to visit if that is more your thing, I think that the best ones are Phonox, Ministry of Sound and of course Fabric although the final one is generally aimed towards a slightly younger audience who like drum and bass. I think that there’s a large number of smaller venues that are also worth checking out but these aren’t really what I’m into, it depends if you want bassy music venues or a more chilled out vibe really. Do some more reading online and you’ll quickly realise what is going to be the best night club for you to visit on a personal level. I would also highly recommend checking out London’s Victoria Palace if you have some free time, it’s a lovely venue and should definitely be checked out if you have a chance to. The best airport to fly into is probably Heathrow or London City airport due to both of them being on the underground line for the city.